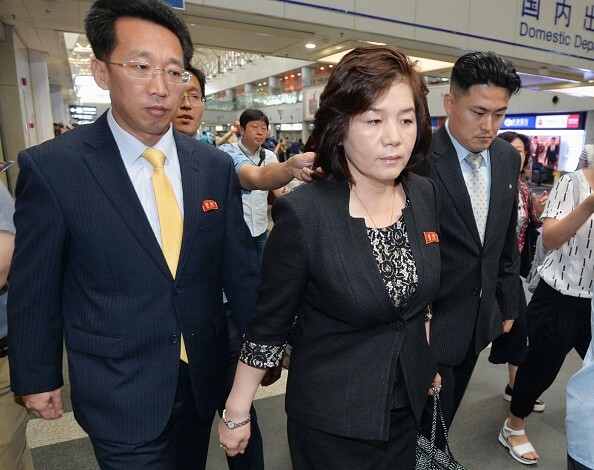 Top North Korean diplomat, Choe Son Hui, has reportedly arrived in China on Monday to participate in informal annual dialogue - Northeast Asia Cooperation Dialogue - hosted by the Institute on Global Conflict and Cooperation at the University of California. The annual informal multilateral conference is attended by top government officials from the United States, South Korea, Japan, Russia, China, and North Korea. All these countries were a part of the six-party talks initiated by China in 2003, aiming to stop North Korea from pursuing its controversial nuclear program. The U.S. State Department has said that its nuclear envoy, Sung Kim, will participate in the conference. However, the State Department has made it clear that Kim has no official plans to meet with the North Korean official during the conference. It is also not clear whether Choe will meet with officials from other countries during the meeting. Pyongyang's decision to participate in the conference is likely to increase the prospect of reviving the six-party talks, which have been stalled since North Korea walked out of the negotiations in 2009. The North Korea's participation also comes just few weeks after North Korea's high profile diplomat Ri Su Yong met Chinese President Xi Jinping in Beijing. China has consistently supported the revival of the six party talks. At the same time, Beijing has been vehemently opposing US moves to deploy Thaad Missiles in South Korea.